Run Your Fleet > Blog > Blog > Going over the edge to Make Some Noise! Going over the edge to Make Some Noise! 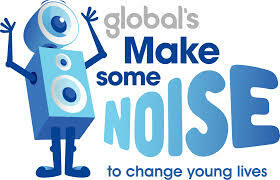 Two of our finest, Rebecca and Sally, are taking part in this years’ Make Some Noise charity event. On Saturday 6 August they will be throwing themselves off the top of the Fort Dunlop Building in Birmingham in a charity abseil. This is to raise money for smaller charities that sometimes are overlooked. From all of us at RYF, good luck girls and thank you to all those who are able to donate to such a great cause. We will update our blog with images from the day!